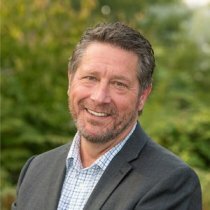 As a resident of Surrey for the past 50 years, I have come to know the landscape of the City as someone who lives, works and plays in the City. I have seen the landscape change from a rural setting to the urban setting we have today. We have gone from a small town municipality to a vibrant City, full of parks and recreational facilities, to suit the needs of all those living here. As a firefighter with the City of Surrey Fire Services, I have been exposed to many aspects of the community which have led me to where I am today. I started as a Paid on Call firefighter in September of 1980 and was hired as a full time firefighter in May of 1982. 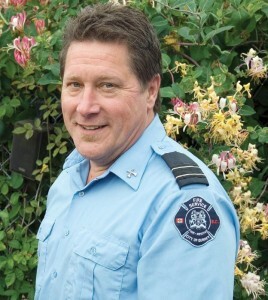 I retired the end of July this year, leaving the fire service as the Chief Fire Prevention Officer (CFPO). 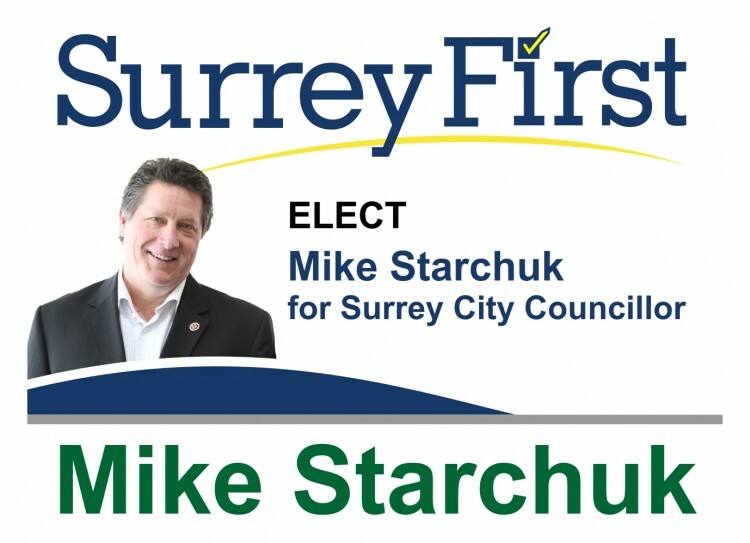 During my career, I was active with the Surrey Fire Fighter’s Association and took a keen interest in the health and wellness of firefighters in Surrey and throughout the Province. I was one of the founding members of our Charitable Foundation, where we were able to make a difference for those in need in Surrey. I was exposed to the politicians who could assist me, and our organization during my time as a firefighter. Near the end of my career with the Fire Department, I held the position of CFPO, which had me working with our City Hall departments, the business community and those building and developing new projects in the City. It was during this point of my career where I began to identify areas that I believed, needed to be addressed. This was the tipping point which began my pursuit of a different leadership role where I could see my thoughts and ideas heard. In August of 2013, I had decided to explore the opportunities available to me to determine what would be the best route for me to take. I spoke to those who were involved with provincial and municipal politics (both current and past) regarding their involvement and the commitments they had made. I spoke with our firefighters in Surrey and those elsewhere in Canada and the US who had been elected to public service. Lastly and more importantly, I spoke with my family and received their complete support with the decision I would reach. 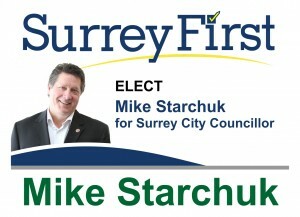 Historically, Surrey’s elected officials, at times, worked independent of each other, and at times, worked as cohesive groups. During my research, I was reminded of some of the fractured councils we had ten or more years ago, where little was getting done and when things were getting done, they were taking far too long. How can we forget the times when Mayor Watts and Councillor Villeneuve were excluded from portfolios and committees just because of the exclusive nature of some of those on Council? The decision became clear to me that Surrey deserved to be represented by people who reflect the issues of the electorate rather than their own personal agendas and ideas. I had originally intended on creating a “pros and cons” list to use when looking at all of the factors in making my decision to run as an independent, or making an attempt to gain a spot with the Surrey First team. When it came time to utilize these lists, the decision was clear and simple. The Surrey First team had a very diverse group of thinkers, who worked as a team with similar visions and goals, to those who live in the City. This is where I wanted to get my thoughts and ideas heard. This is the team I wanted to be a part of. The team approach is something that a firefighter relies on. In the case of a large scale incident, you have a person in charge (Incident Commander) who comes up with a game plan with those other officers there and then assigns those Officers’ tasks to get the “job” done. Surrey First’s team functions in the same manner. The person in charge is the Mayor who consults with the other Councillors and they develop a plan and then assign tasks and roles to get that “job” done. While working with the Surrey First team as a member of the Surrey Fire Fighters Association, I witnessed firsthand the impact of having a Council who understand our needs, goals and vision. With all of the above taken into account, I reached out to Surrey First and put my name forward for consideration by the team. I met with some of the Surrey First team in late 2013 and early 2014 and provided some of my background information regarding my knowledge, skills and the abilities I would bring to the Surrey First team and to the citizens of Surrey. I emphasized that the issues I brought forward in discussion, were based on my first-hand experiences with direct contact to these issues. When I speak to the social issues, the criminal issues and the growth and development issues, it’s all based on my personal interactions with those most affected. When I met with the Surrey First group in April, I came prepared to let them know how much I had to offer and how much I wanted to be a part of this team. The team was well briefed on the issues that I was passionate about, from our previous meetings, and I was brought onto the team at that point. With this step completed, I wanted to fully focus on getting my message, and the team’s message, communicated to those in Surrey. In order to best do this, I decided to leave the Fire Service earlier than planned, to ensure I was compliant with the Local Government Act, the City’s Code of Conduct and the terms of my Collective Agreement. With all of the regulatory matters taken care of, I can now focus on building my name in a more prominent and public manner. My early retirement from the Fire Department did not come without some anxious moments. Despite some of those reservations to leave early, the opportunity as it presented itself, and the possibilities to engage new ideas in a different forum, gives me comfort that this is the right time to “change gears” and focus on a new endeavour.